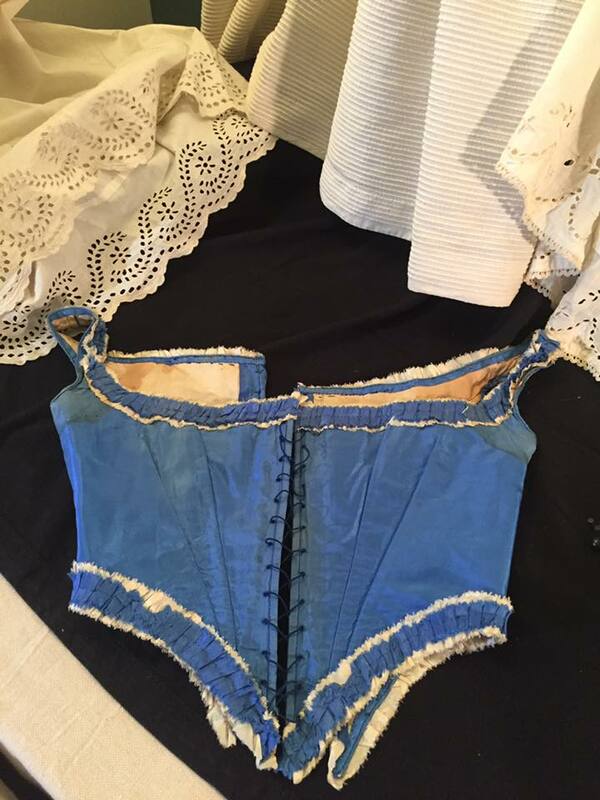 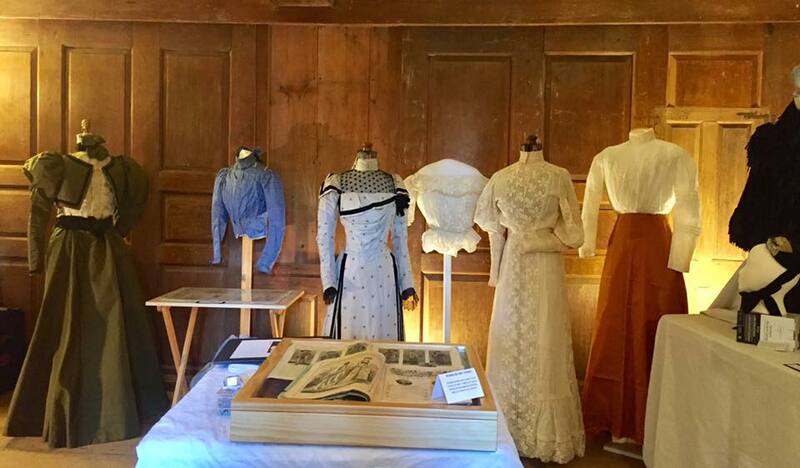 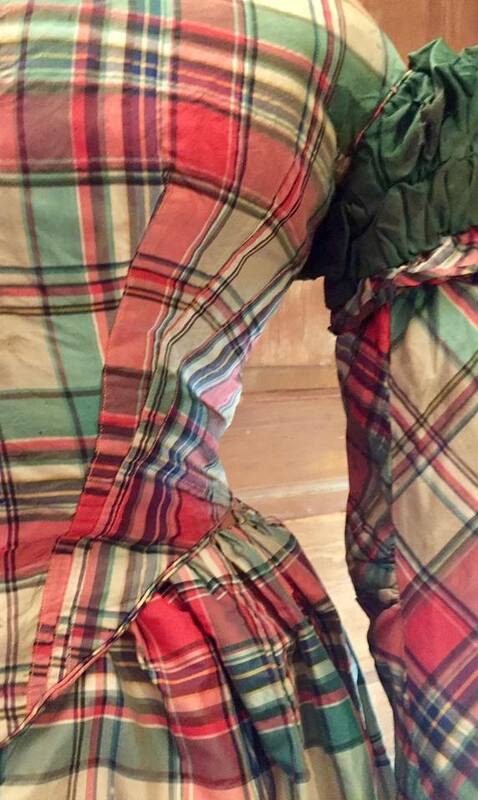 Recently, I had the opportunity to visit 'What New Englanders Wore, 1830s-1920s' on view at The Colonel Paul Wentworth House Rollinsford, New Hampshire Curated by Julia Roberts. 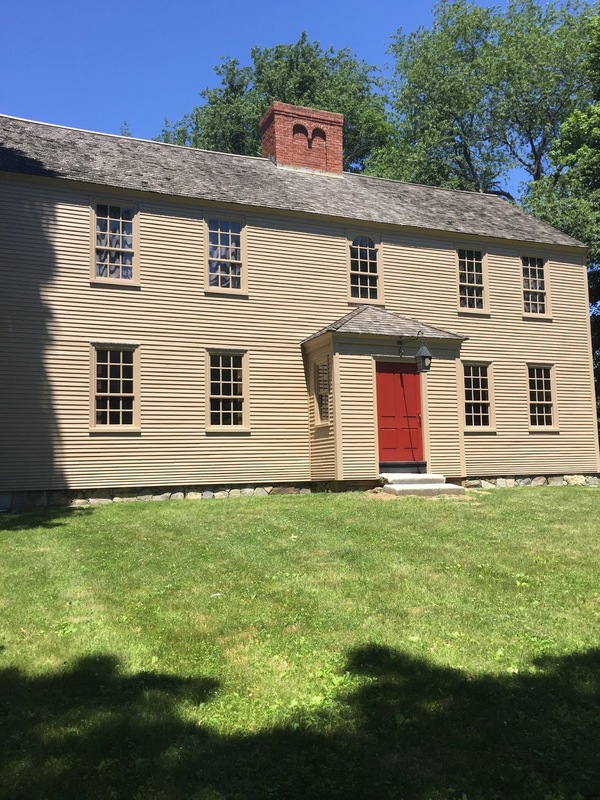 The Col. Paul House is a great destination spot for a Sunday ramble around New Hampshire. The house and the exhibit are open Sundays 1-4 through October 8th 2017. 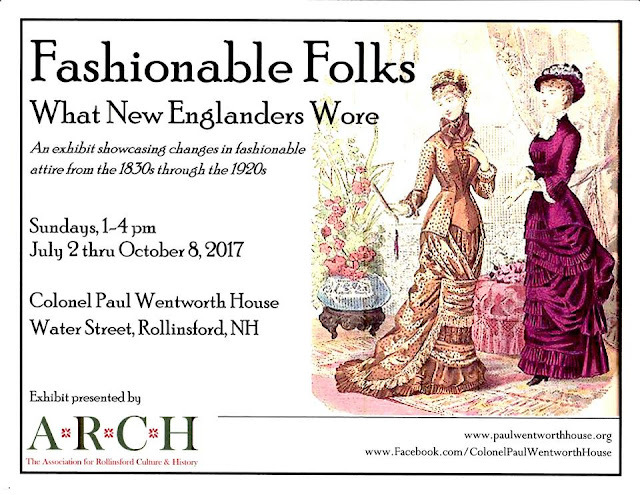 For details, see http://www.paulwentworthhouse.org.